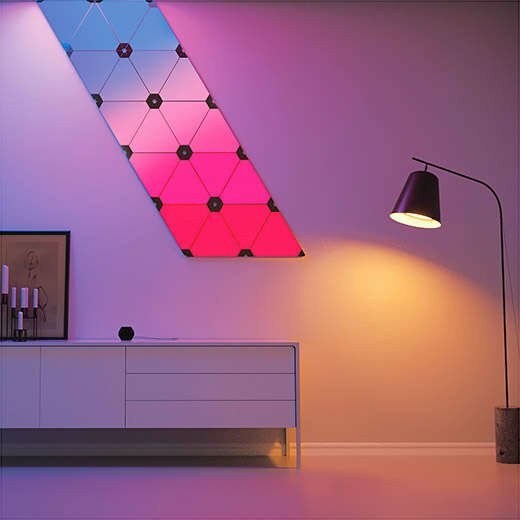 Nanoleaf Aurora Smarter Kit beautifully blends lighting design and technology and gives you easy control. Wake up to the sunrise, improve your mood with the movement of light and colours, beautify your living space and seamlessly automate your lighting to fit your life - all at the touch of a button or with Siri voice control. Whether it’s setting the mood for a party or a date or enabling your little ones to run free with their imaginations, the possibilities are endless. Aurora helps you paint the canvas of your life.